The Rockstar loves yams. Like, LOVES them. 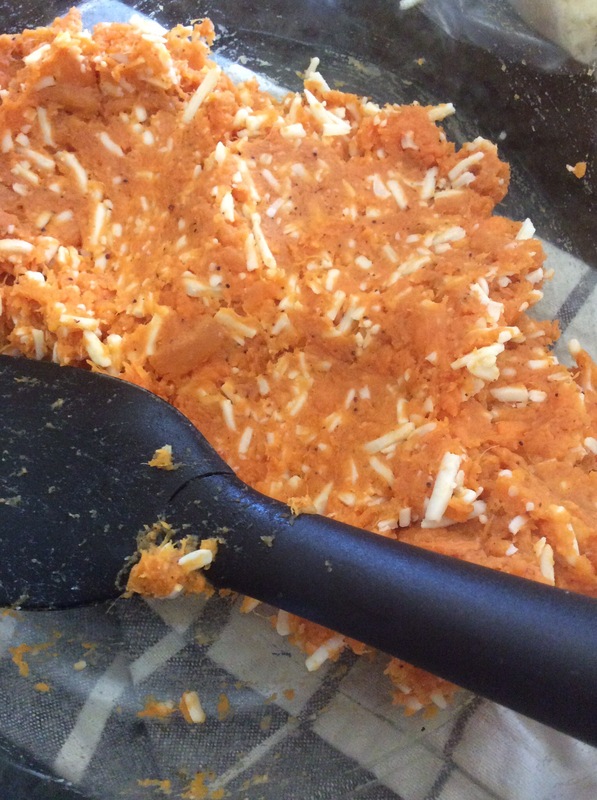 This recipe was made just for him… and for the fact that I had two large yams that were trying to sprout on my kitchen counter. I love croquettes, never met one I didn’t like, in fact! 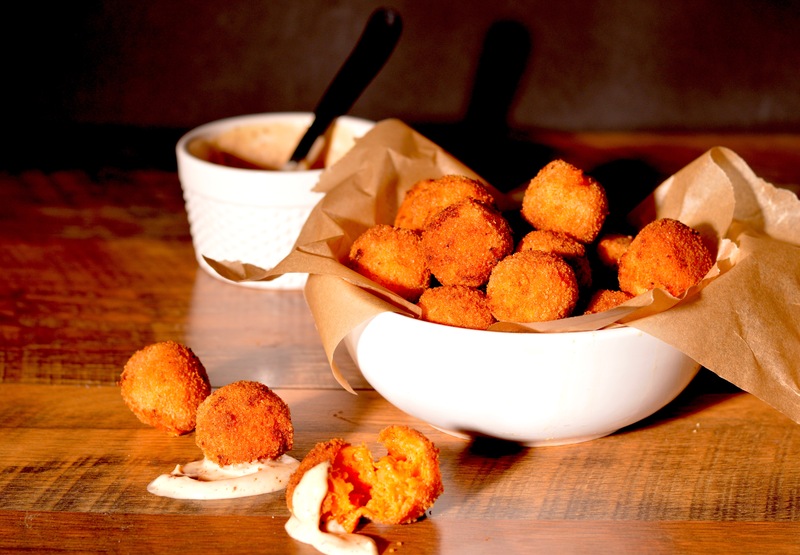 Starchy, cheesy, fried goodness? Yes, please! I mean, who doesn’t want that combo? 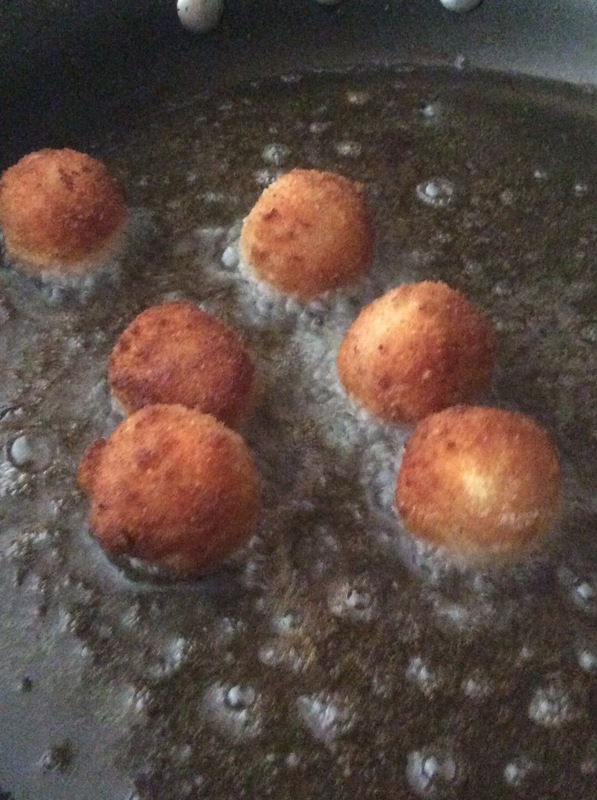 As an added bonus, these croquettes are easy and inexpensive… another win/win! 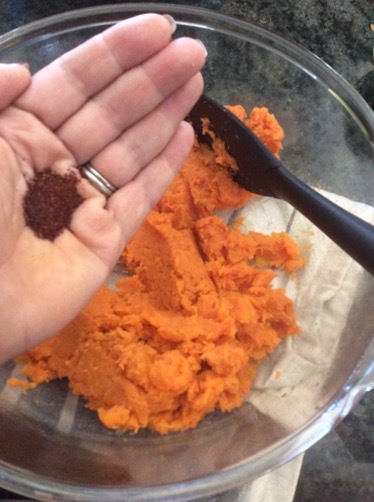 2 tsp ground nutmeg, freshly ground is best! Sauce: 1/2 cup mayonnaise, 2 Tbsp ketchup, 1 Tbsp Dijon mustard, 2 tsp smoky paprika. Mix until smooth. 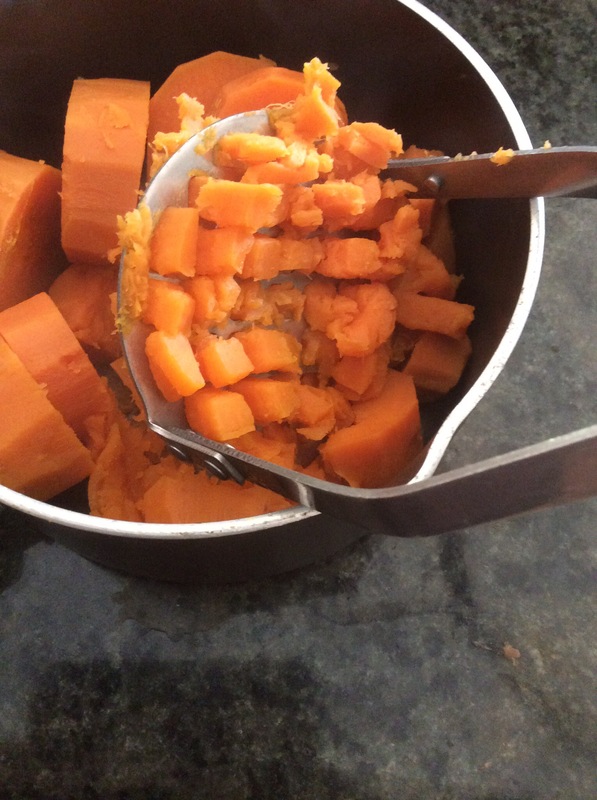 In a sauce pan cover the sliced yams with water and boil until fork tender. 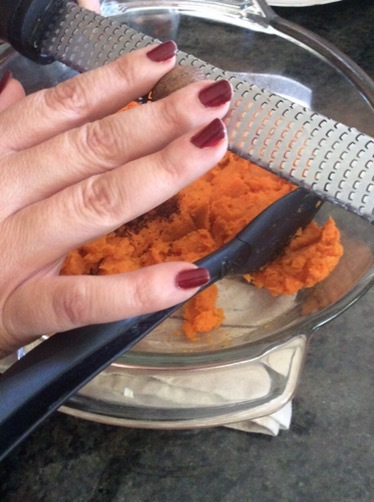 Drain and mash to a smooth consistency. 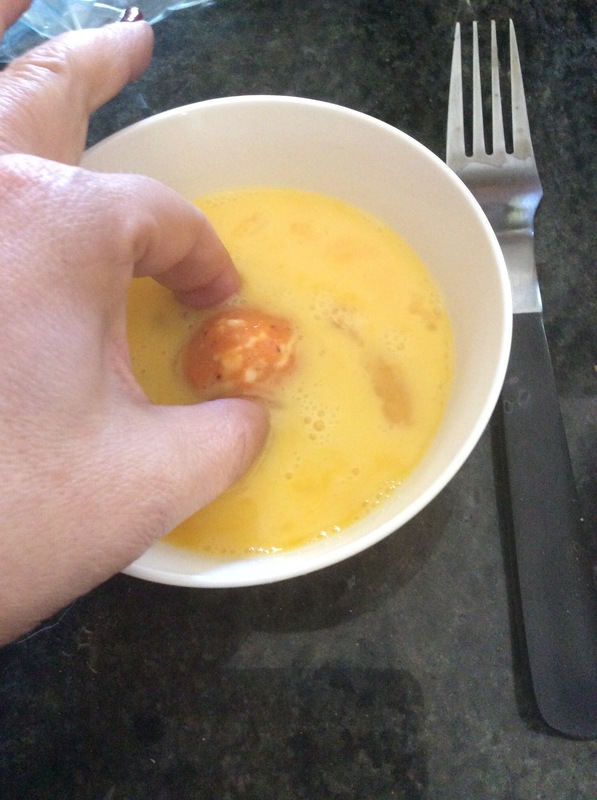 Add remaining ingredients and stir until all are well incorporated. 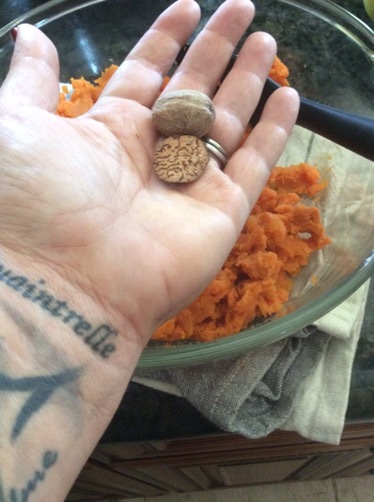 Using a small cookie scoop, make the yam balls and place on a parchment or waxed paper lined baking sheet. They should be about an inch and a half in diameter. 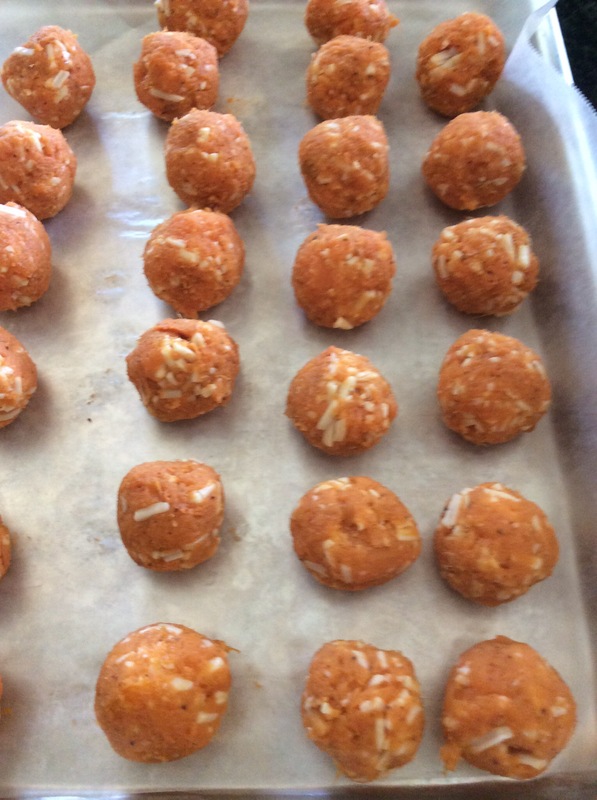 Place yam balls into the fridge for at least 30 minutes. 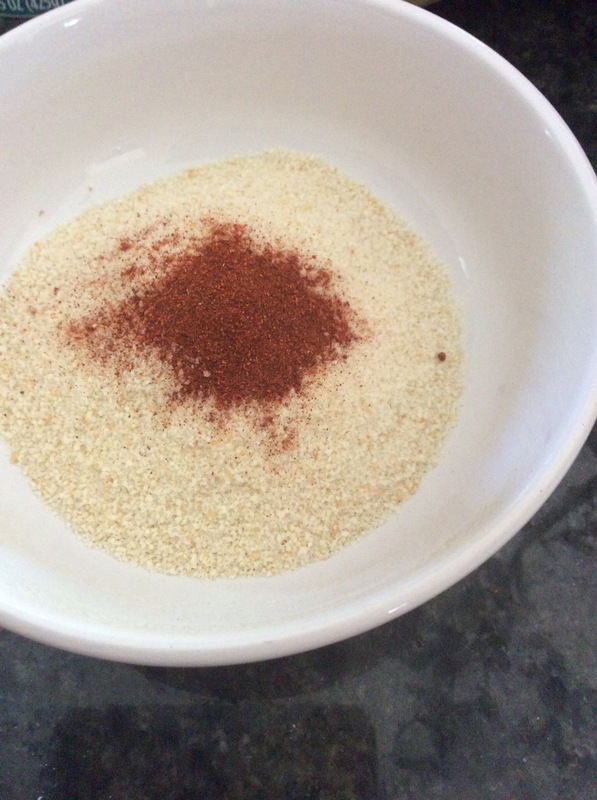 Remove from fridge and begin breading the yam balls by placing them first in the beaten eggs and then to the breadcrumb paprika mix. 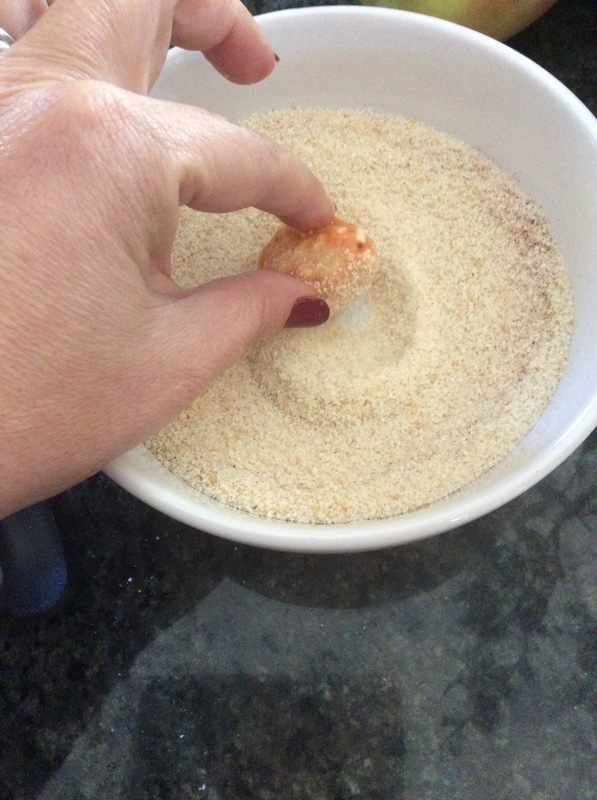 Place each breaded croquette back onto the baking sheet. Heat about a quarter inch of canola oil in a large skillet over medium high heat. 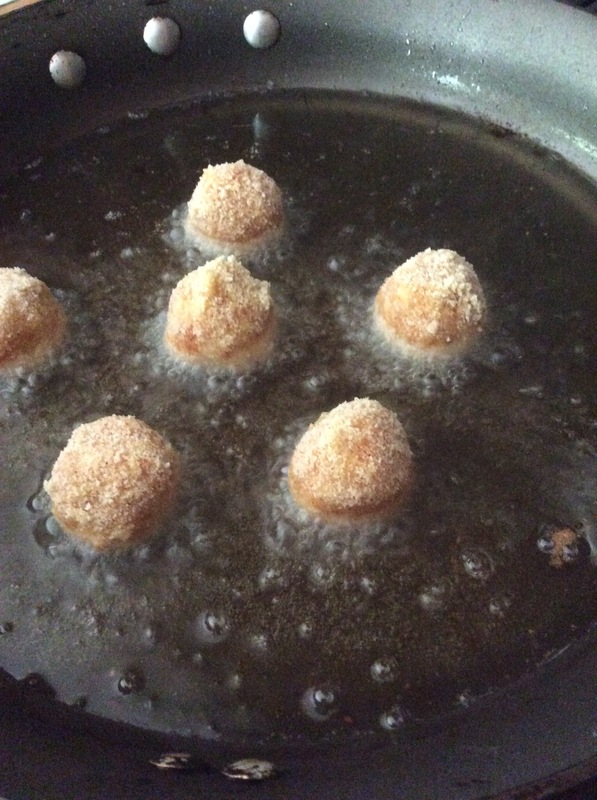 Once a drop of water sizzles, reduce the heat to medium and begin frying the croquettes. 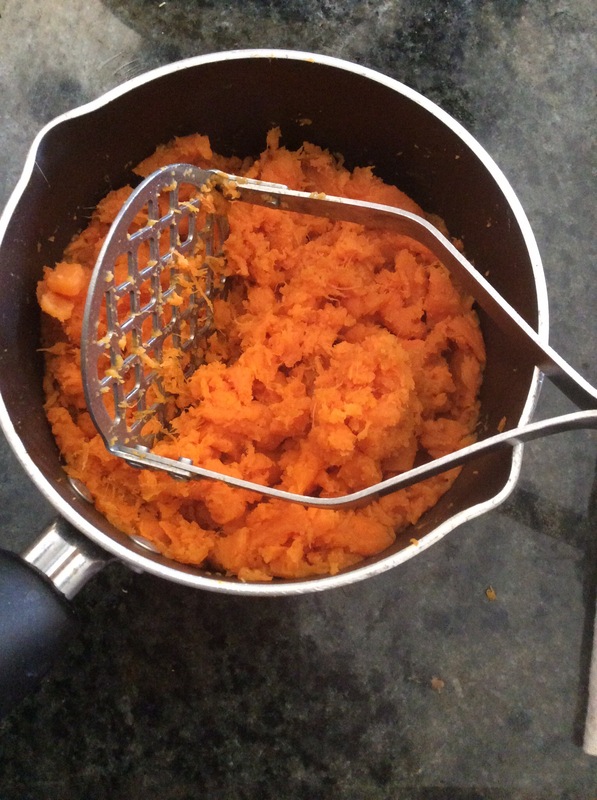 Turn them frequently to achieve an even golden brown crisp over the entire surface. Remove to a paper towel to cool. Serve them with the sauce while they’re still hot! 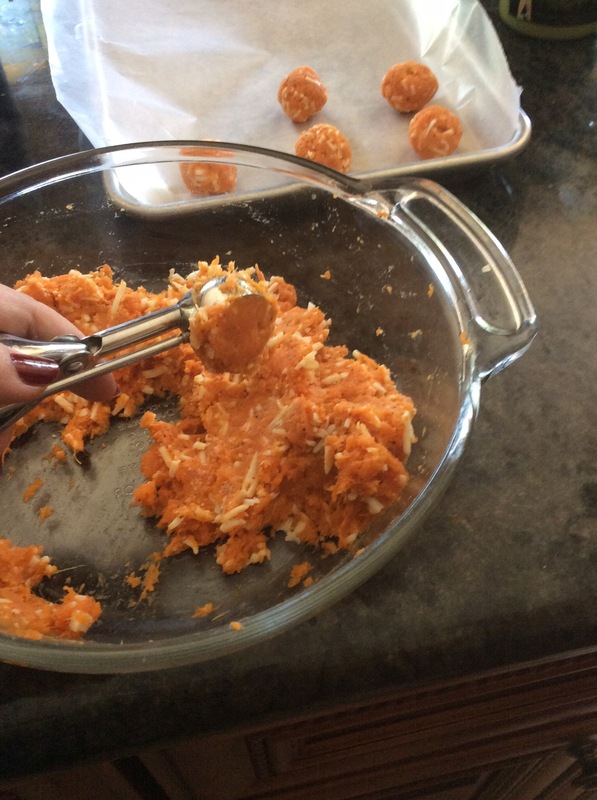 Enjoy this crispy cheesy take on yams the next time you entertain or when you’re looking for a hearty snack with a friend. Swearing Mom out.